For one restless pup the waking world is too full of wonder to leave behind at bedtime, until he closes his eyes and finds comfort in his dreams. 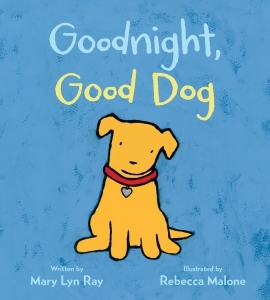 Mary Lyn Ray's warm and accessible padded board book celebrates the sights and sounds of the night to reassure young children at bedtime. Say goodnight to a good dog, in this dreamy bedtime padded board book in the tradition of Goodnight Moon.